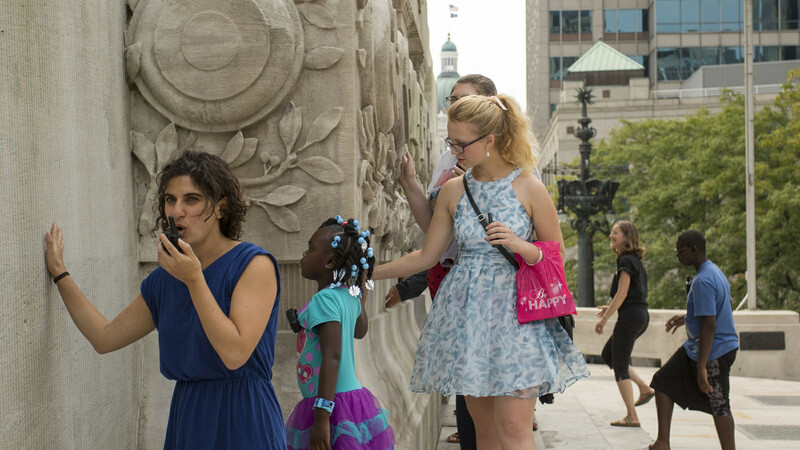 Take the opportunity to interact with an icon of Indianapolis– the Soldiers’ and Sailors’ Monument. Consider why it was built and what it stands for; make a rubbing of the names of veterans enshrined in the paved bricks; draw the Monument; and/or take a walk alongside a contemporary veteran at this special event conceived by artist Rebecca Pappas in collaboration with the Veterans for Peace (Indianapolis Chapter, Chapter 49). While walking with a veteran, think about what you might like to discuss with him or her, as well as listen to what he or she might want you to know. Remember our young soldiers and all of the men and women of Indiana who never made it back from war. Consider the costs of war and what other options we might have at resolving conflicts, now and in the future.